L ast October I headed up for a banzai weekend of photographing fall color in the Eastern Sierras. 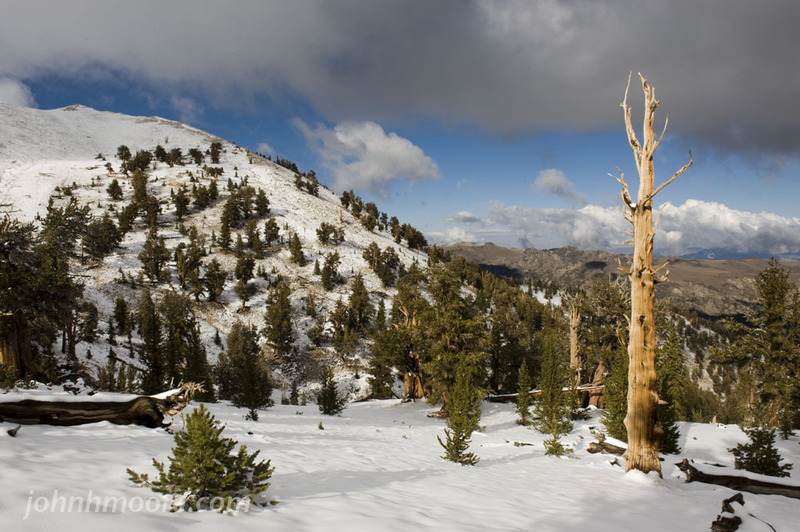 On the way back, I decided to take a little detour just to see where the Ancient Bristlecone Pine Forest is, east out of Big Pine. 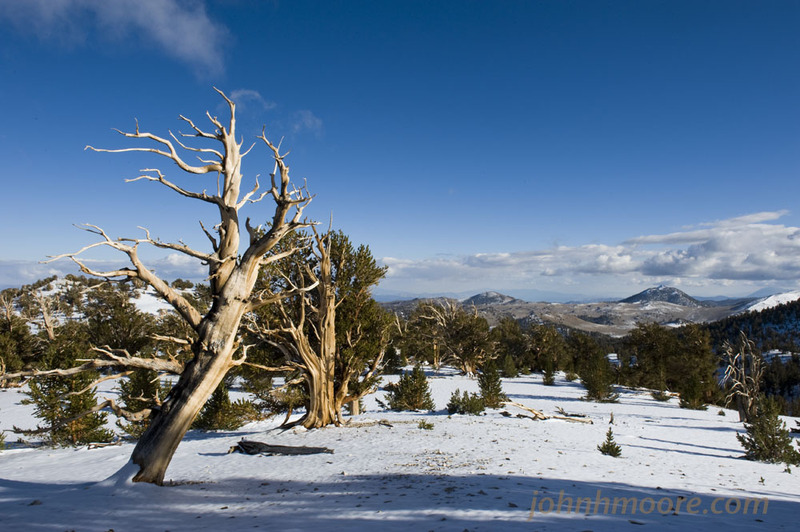 Ancient Bristlecones (Pinus longaeva) are the oldest trees in the world, some having lived to 5,000 years old. The road there is 13 miles of really steep and curvy paved highway, then 11 miles of even more steep and narrow and curvy paved national forest road up to 10,000 feet and the Visitor Center. 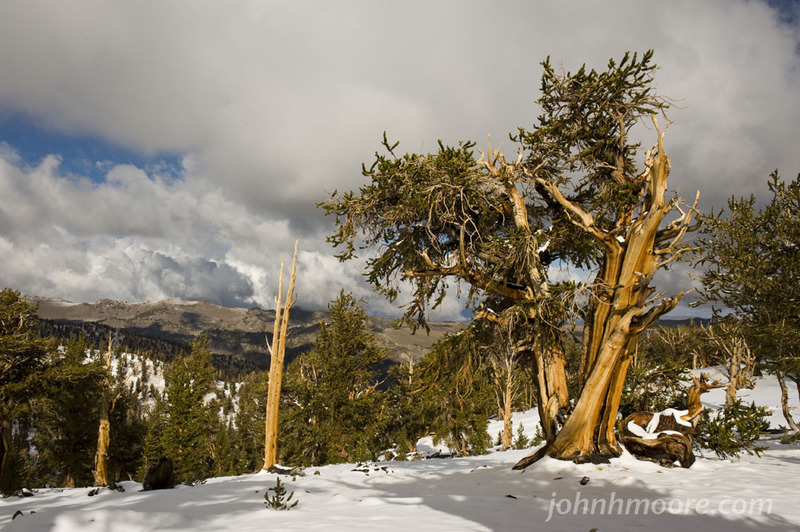 At the Visitor Center, I talked with the ranger there who said, “sure, no, problem, your Honda Accord with old tires will do just fine on the road back to Patriarch Grove”—the more picturesque grouping of trees. It was a beautiful afternoon and I was feeling overconfident, so off I went. What followed was 12 miles of muddy and snowy dirt road from 10,000 feet at the Visitor Center back to 11,200 feet at Patriarch Grove. Many times I thought, “what the hell am I doing out here in the middle of nowhere, by myself, in a Honda Accord, hanging off the edge of a dirt road at 10,000+ feet, trying not to slide in the mud created by melting snow???? ?” Perhaps not my smartest move. 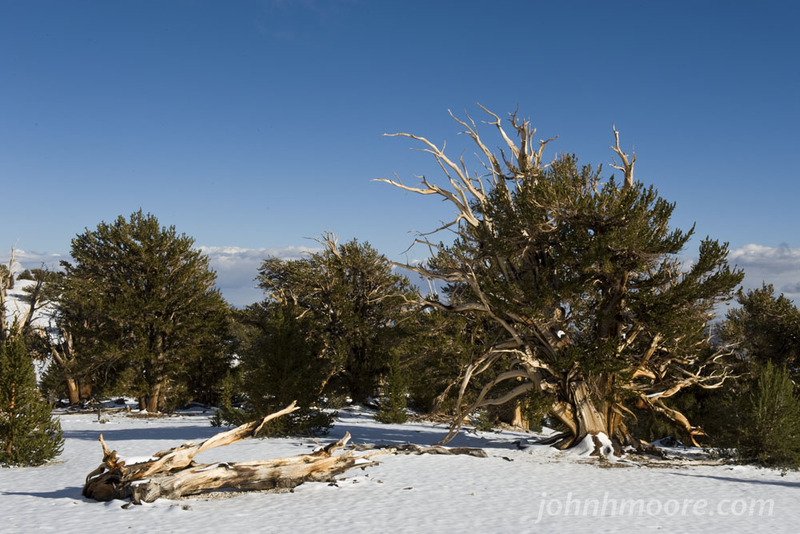 When I got to about a mile away from Patriarch Grove, the snow got deeper and was covering the road. I pulled over and joined another solo traveler—in a car just as ill-equipped to be there as I was. He was about ten years older than I, had decided that he really didn’t like the stress of work life, and so had worked hard and scrimped to put away enough money to have already retired—living frugally. He was in the middle of several months just wandering the national parks in that part of California, living a stress-free life! 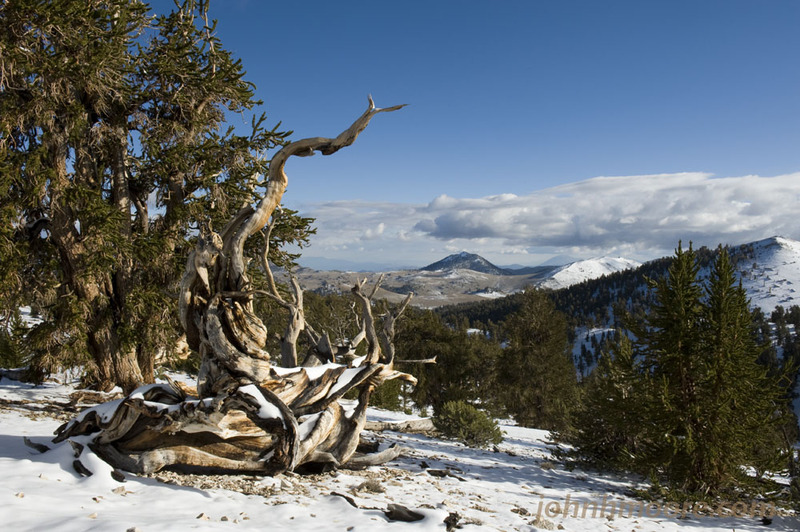 He and I parked our cars on the edge of the snow and walked the last mile in to Patriarch Grove, where we had the place to ourselves—on top of the world amidst trees that had been there since three thousand years before Christ. Image what those trees have seen! We stayed a couple hours and then decided that we’d best get out of there so we had plenty of time to get back down off the top of the mountain before dark.